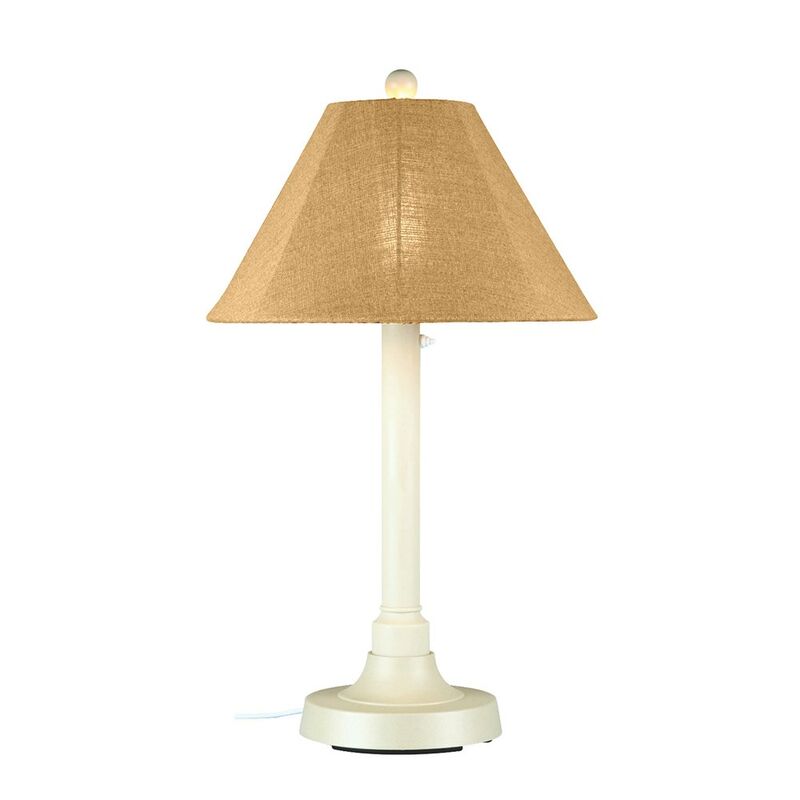 All weather resin lamp adds practicality and style to your outdoor living area. 2" white resin body tube, heavy weighted base and acrylic waterproof bulb enclosure allows the use of a standard 100 watt bulb or comparable LED or CFL. 16 ft. weatherproof cord and plug. Two level dimming switch. Sunbrella shade. Features all weather resin construction with a heavy weighted base for outdoor environments.